Do enlightened beings suffer? No, they do not suffer, they just experience things as they are. The following story about Ramana Maharishi clearly illustrates this. In 1924 there was a robbery at the Ashram. One summer night Sri Ramana and four of his companions were sleeping in one of the thatched huts near the windows, when they heard thieves trying to climb in through the window. Kunju Swami was furious and wanted to confront the thieves, but Ramana dissuaded him saying, “Let these robbers play their role; we shall stick to ours. Let them do what they like; it is for us to bear and forebear. Let us not interfere with them.” He suggested to the thieves that he and his companions would leave the hut so that they could take whatever they wanted. But when they came out, the robbers beat them with sticks. They also beat Ramana on his thigh, who said, “If you are not satisfied yet, you may strike the other leg also.” And to Ramakrishna, who wanted to protect him, he said humorously, that he had only received his appropriate puja (puja in Tamil means worship but also beating). The Ashram inmates waited in the northern hut while the thieves rummaged through everything. The things they found, however, were worth no more than a few rupees. Being extremely disappointed and not willing to believe that this was everything, one of them returned brandishing a stick and threatened, “Where is your money, where do you keep that?” Maharshi answered that there was no money as they were poor sadhus living upon alms. Enlightened beings such as Ramana Maharshi experience events as they are without ego involvement. No fear or anger or thoughts are added to the experience. Normal beings will react based on their past conditioning. They may become angry and fight back and this may aggravate the burglars further and bring them further injury. Ramana Maharshi was hit on his leg with a stick. He might have felt pain but he did not add to the pain by getting angry or scared. This is because he no longer has an ego and there is no past conditioning to cause a reaction to the pain. When having a sore throat, different people will react differently based on their past conditioning. One may be happy because it gives him a day off from work. Another may add mental suffering to the illness by thinking of the fun things he could be doing if he did not have the sore throat. Both of them added something to their illness; there was ego involvement. An enlightened being with a sore throat does not add anything mental suffering or delight to the experience. To him, it is merely an experience. Even ‘taste’ is merely an experience and there is no pleasant or unpleasant food because there is no ‘mind’ to judge the food, as the following story illustrates. Since his enlightenment experience in Madurai, what he ate meant nothing to him. He no longer had any preferences. This was evident in his later eating habits, as he liked to mix the various sour, sweet and spicy dishes together into a mash on his banana leaf. When once a lady devotee served him a variety of dishes, he asked her not to take so much trouble in future on his account, saying, “All of you have many tastes but I have only one taste; your taste is in the many, mine is in the one.” Then he mixed it all together to a mash and ate it. Once, Ajahn Siripanno visited the famous Thai Buddhist forest monk, Ajahn Chah when he was already very old and ill. After paying his respects, Ajahn Siripanno commented to a senior monk how sad it is that a great being like Ajahn Chah had to suffer. The senior monk found that amusing and just replied, “Why do you think he is suffering”. Ajahn Sirripanno was taken aback by the answer. 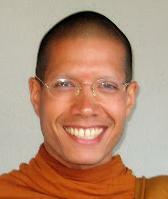 He realised at that point that it was his past conditioning that caused him to think that Ajahn Chah was suffering. Ajahn Chah was not actually suffering. 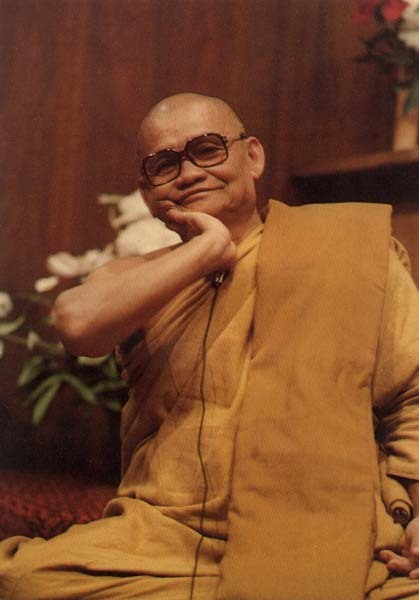 Before that point, Ajahn Siripanno only wanted to be a monk for two weeks. His father was a multi-billionaire and he was going to start work after the short retreat. But that experience with Ajahn Chah made him realised that there is more to life that he needed to know. He then decided to remain a monk for the rest of his life. This leads to only one conclusion: Enlighten beings only experience complete inner-peace and nothing else. When the ego disappears, only peace remains.